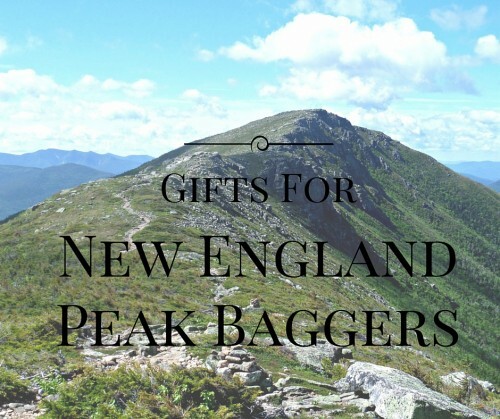 If you’re in search for great gifts for hikers and backpackers that won’t break the bank, here are are fifty great gifts for around $50.00! This list consists of items to use on the trail, at home, or items that remind you of the trail. All of these items are things I would recommend to my hiking friends, and is the most diverse gift list for hikers out there! MSR Pocket Rocket– As exciting as the name sounds! Pair this tiny stove with a fuel canister and you’re ready to create some great meals on the trail. Eno SingleNest Hammock-Great for backpacking, car camping, the beach, or your backyard! SOL Escape Bivvy-A little added security if you need to spend an unexpected night in the woods. Petzl Tikka Headlamp– 80 lumens, 190 hours burn time, and 5 light modes: everything you’d need in a headlamp. 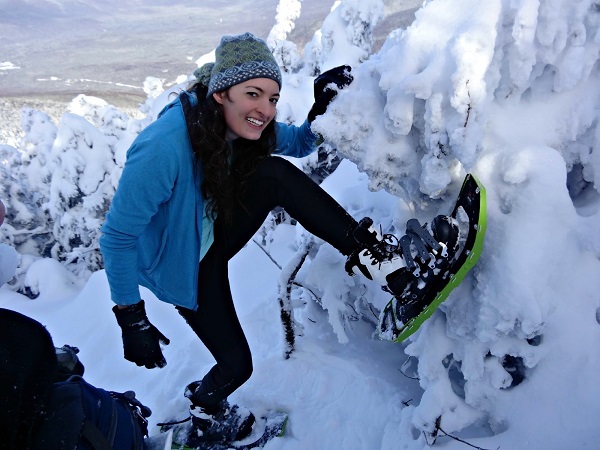 Hillsound Trail Crampons– Lightweight traction for winter hikes. Toshiba Canvio Portable Hard Drive 1 TB– Hikers take lots of photos. Give them a place to safely store them all. Outdoor Research Adrenaline Gloves– Keep your hands warm and dry with these waterproof yet breathable gloves. LifeProof phone case– If you take photos with your phone, make sure you have a case that can handle spills. Therm-A-Rest Z-Lite Sleeping Pad-A popular pick, this closed cell foam is rugged enough for those who backpack in rugged areas. Snow Peak Trek 900 Titanium Cookset-Titanium cookware is a great investment as it will perform well and last years. Nathan Firecatcher Hydration Vest– For those who want to dabble in trail running. If you want another (but more expensive option) the Ultimate Direction SJ vests are highly rated. Baffin Base Camp Insulated Booties– These babies will keep your toes warm for winter camping or trail stories in your living room. RavPower External Battery Pack– Keep everything you need charged when you can’t plug in. Cairn– These boxes are great you get a variety of cool products to try out. And who doesn’t love getting mail? It’s $25 a month and you can gift as many months as you’d like! Sun Altimeter 203 – Measure the altitude as a navigation aid or just for curiosity sake. Purple Rain Adventure Skirt– My favorite clothing item for hikes. They make kilts too! Teva Terra Athletic Sandal– For those looking for a quality pair of stream crossing/camp shoes. Check out Tevas for men here. Exped Air Pillow UL– Give a little luxury without cramping their lightweight style. Outdoor Herbivore 3 Day Meal Combo– All vegetarian meals to feed a backpacker 3 meals a day for three days! Garmin Vivofit Fitness Band– Track your stats on this sleek device. Krave Gourmet Jerky Variety Pack– An assortment that includes 10 bags of beef and pork jerky! Sea to Summit X-Pot– This 2.8 liter cookpot has the ability to flatten for storage. Outdoor Research Sensor Gloves– Keep your fingers warm and still be able to take photos with your phone. National Parks Checklist Map– A great gift for someone looking to see the country via our nation’s parks! Black Diamond Storm Headlamp– Up to 160 lumens. Perfect for night hiking. TrailSigns– Give a hand crafted Appalachian Trail sign made from reclaimed wood! Outdoor Research Gradient Beanie– So many colors to choose from and incredibly soft. Peak Design Slide Camera Sling– For the avid photographer. Keep your DSLR close with this system. Donate– Give a gift in someone’s name. A $50 donation to the National Forest Foundation will support work done in our nation’s forests and plant 20 trees. Pick an organization you identify with! Goal ZeroFlip 20 Recharger– Charge your phone and other small electronics when you’re in the field. Tarma Designs– This beautiful hiking themed jewelry is great for any adventurous woman in your life! There are even long distance trail designs. Nesco American Harvest Food Dehydrator– Make your own jerky, snacks, or meals for backpacking. Ruffwear Front Range Everyday Harness– This easy to use harness is ideal for taking your pup on the trails. Columbia Zip Off Pants– These pants do double duty zipping off into shorts when you need ’em. Sea to Summit Silk Liner– Add to your sleeping bag to add 10 degrees of warmth. December Moon Design Trail Bracelet– A consistent reminder of the trail right on your wrist! Leatherman Wingman– 14 in 1 multitool. Ninja Pulse Blender– Give the gift of healthier eating with a blender. Whip up some smoothies for the ride to the trailhead. Salomon Panorama Full Zip Midlayer– women’s midlayer for cool days on the trail. Salazon Organic Dark Chocolate and Sea Salt– A box of twelve delicious bars. These may not last very long! Marmot Precip Rain Jacket– Stay dry in wet conditions with this popular jacket. Get the women’s version. Sea to Summit TPU Waterproof Case– Keep your phone dry in inclement weather. j/fit Angle Balance Board– Train at home for improved balance and agility. Post hike meal and beer– grab a gift certificate to their favorite brewery. CamelBak Kids Mini M.U.L.E Hydration Pack– Get your kids on the trail and hydrated with a pack designed to fit them right. Packit Gourmet Basic Camp Kitchen Kit– The perfect starter kit for the new backpacking chef. This kit includes all of the basic vegetables, beans and meats necessary for eating well on the trail. Hiking Books– This list has over 60 awesome books about hiking. You’re bound to find a few you’ve never heard of before! Illustrated 2016 National Park Calendar– They’re under $20 so grab a print or two while you’re there from this talented artist! Still unsure? Bonus #51 is a no brainer. Let them choose with a gift card so they can find the perfect item for their next adventure! I recommend Amazon, REI, or Backcountry for the most variety. For even more ideas, check out 25 gifts $25 or less as well this guide for a gift that will wow!